Patrick is being coy about moving to TV, but maybe wants to focus on racing first. Danica Patrick announced on Friday that her days as a full-time race car driver have reached their end. After attempting to qualify for next year’s Daytona 500 and Indianapolis 500, and hopefully competing in both races, Patrick, 35, will retire from auto racing. Her next stop might be the broadcast booth, though she hasn’t yet said so officially. According to USA Today, Patrick is in talks with NBC about joining the network’s NASCAR coverage in some capacity. During a press conference to announce her plans to step back from racing, however, she denied that going into broadcasting would be next for her. NBC Sports made no comment when asked about the report. “Never say never” leaves all sorts of wiggle room, of course. Brent Musburger just used that line last week when talking about a possible return to the broadcast booth. And then there’s the “right now” part of her remarks. Sure, “right now,” she’s not going to be broadcasting for NBC. But after the Daytona 500 and Indianapolis 500, Patrick could certainly make the jump to TV. In his report, Perez points out that Patrick already has plenty of experience on camera. This past June, she was a pit reporter for FS1 during an Xfinity Series race broadcast. She showed a talent for entertainment in commercials for GoDaddy, essentially serving as the face of the company which sponsored her race car from 2010 to 2016. And being frequently interviewed for multiple racing broadcasts ever since her IndyCar racing days has made her comfortable in front of the camera. As ESPN’s Bob Pockrass writes, retiring from racing has been on Patrick’s mind through most of the past year after losing sponsorships (Nature’s Bakery pulled out of its three-year agreement after one year) and no replacements developing. In September, she announced that wouldn’t return to Stewart-Haas Racing and her contract expires after Sunday’s Ford Ecoboost 400 at Homestead Miami Speedway. I am not sad today. I am excited. It wouldn’t be hard to get me sad, but I also believe in the great power of positive thinking. Ask the world for what you want, not what you don’t want. I walk forward with gratefulness for what has happened in my life to this point. And I thank all the people that helped me get here, and the list is wide and deep. Sometimes I have to ask myself, is this real life?! Because it’s so amazing. So my friends when you see me, smile! Don’t be sad, because I choose not to be. I believe what’s next is exactly what I dream it up to be……after all, what has happened already was just that. Some racing fans might scoff at Patrick’s lack of success, especially at the NASCAR level. 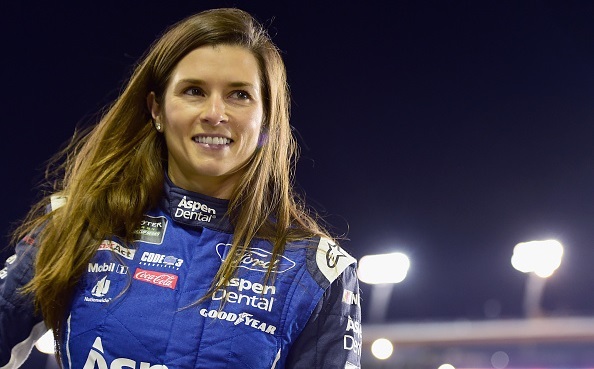 In IndyCar racing, she won one race — the Indy Japan 300 in 2008 — and never had a top five finish in 189 NASCAR races and never placed higher than 24th in the overall standings. But she’s also finished higher than any other female driver in the Indianapolis 500 and Daytona 500, and is a popular figure known to casual fans that NBC could promote. Plenty of other former athletes have had a lower profile when going into broadcasting. What ultimately matters to fans is the substance of analysis versus any cult of personality that NBC may attempt to develop.